Schematic presentation of the grey-white matter border in coronal spinal cord (left) and brain (right) sections. The midline represents a magnification of the grey and white matter border within the spinal cord and the brain. The white matter consists mostly of axons, oligodendrocytes that enwrap them in the form of myelin sheaths and fibrous astrocytes that interact with oligodendrocytes to promote myelination. 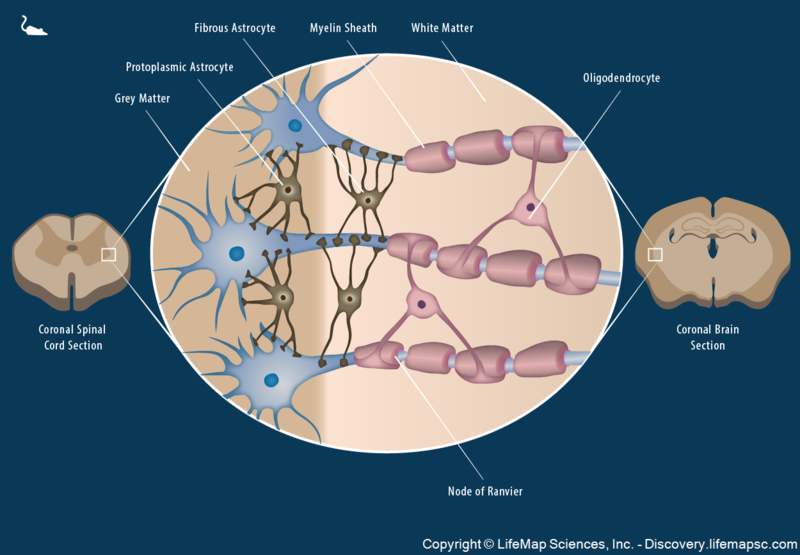 The grey matter consists of neuron cell bodies, capillaries and protoplasmic astrocytes.